Audi Claremont sponsored the event in collaboration with Out Africa Magazine at the wonderful Glen Boutique Hotel. The contestants wore Audi branded Plumbum Swim Briefs much to the delight of the audience packing out the pool decks. This year we had the honour in opening the show setting a precedent which was difficult to upstage, for obvious reasons! Pics by SDR Photography. Plumbum met Joe and Francois at their exquisite Guest Farm called Shisa. A must visit with beautifully appointed rooms should you be lucky enough to stay longer! Francois (centre) sporting a Faux Leopard Brazilian Square Trunk. Preston and Brett relaxing poolside (top left) and Francois taking pics from the pool deck (bottom left). Plumbum proudly sponsored Best Male Model and Best Physique by rewarding the top 3 in each category with a voucher to the value of R1000. 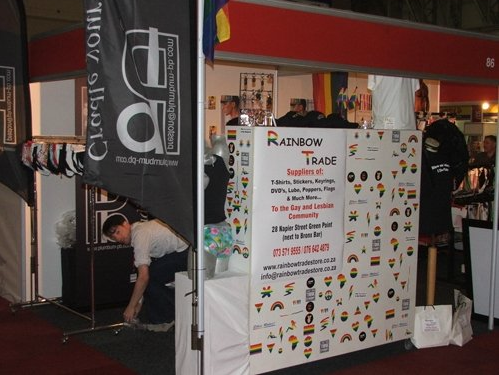 Seen here is Julian Jaye Louw sporting a Black Brazilian Square Trunk (right) and a One-Off Retro Runner (left). 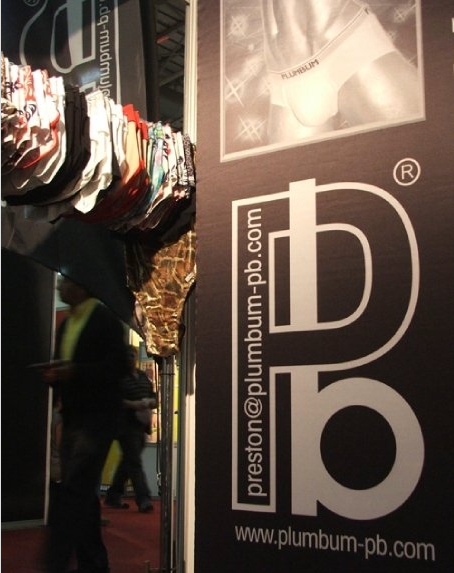 Plumbum exhibited at Sexpo hosted at the Cape Town International Convention Centre (CTICC) in May09. Reno Horn aka Kurt Rogers proudly sporting our Brazilian Red Swim Brief (centre). Plumbum showcased some of our more exotic swimwear at the Play Nice Launch held at the Runway in Woodstock. Olivia Cabillaire here with the Boys (centre). David Furnish (Elton John's husband) here with the Play Nice folks (bottom left). 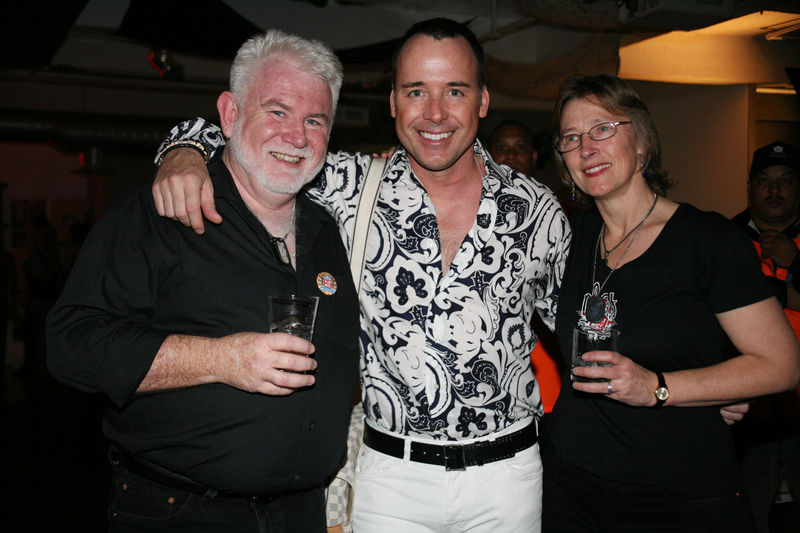 The Plumbum sponsored event took place on 15 December as a prelude to the MCQP High School Party. Sporting custom designed Plumbum Brazilian Swim Briefs, the contestants at the MCQP Gala event were well received. Quinton Saunders was crowned Mr MCQP 2007. Jeff (left), Quinton (center) and Tom parade the swimwear.